AccessHealth is a private, not-for-profit community health center established in the community in 1975. AccessHealth provides quality health care for the entire family. Our dedicated group of health care providers work together to ensure that every patient receives high quality, comprehensive and affordable health care. AccessHealth does not turn away anyone in need and serves approximately 27,000 individuals per year and welcome anyone in need of health care services. Individuals with family incomes below 200% of the federal poverty level are eligible for sliding scale fees. Medicaid, Medicare, CHIP and MOST PRIVATE INSURANCES are accepted. Individuals who have no insurance and are eligible for discounted services and may be placed in a discounted fee group,based on their family size and household income. 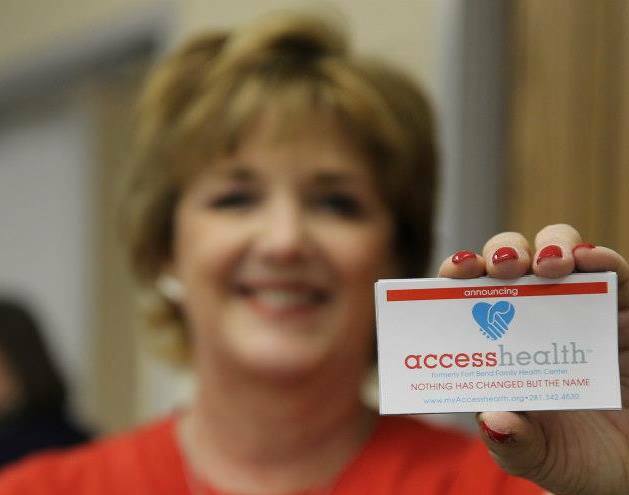 AccessHealth is an equal opportunity provider and a Federally Qualified Health Center and a member of the Texas Association of Community Health Centers. AccessHealth is the beneficiary of the upcoming 2017 Rotary Richmond, TX Sporting Clays Classic. Join us Tuesday at AccessHealth to learn more!